This new range of Spot Sprayers literally breaks the mould in terms of design. 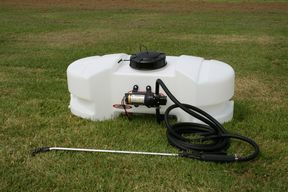 The pumps are mounted on the side allowing suction feed from the bottom of the tank rather than the top. The tanks are lower profile for improved stability, have wrap horns for hose storage and are fitted with drain plugs. The lids are fitted with a tether to prevent loss. Gauge and Valve models have easy to use flow controls for re-circulation/agitation and for spray boom connection. 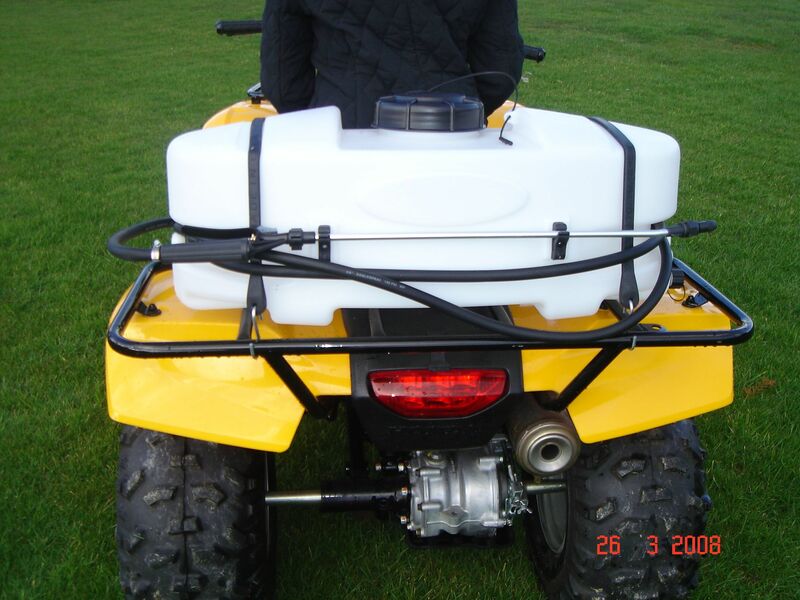 This is the Smallest & Lowest Price Spot Sprayer in our inventory and is well suited for use on smaller ATV’s etc. Small enough to leave on your ATV.